Description: Decorative Artisanaware Pillow Covers of Reclaimed and Recycled Vintage Fortuny Fabric. 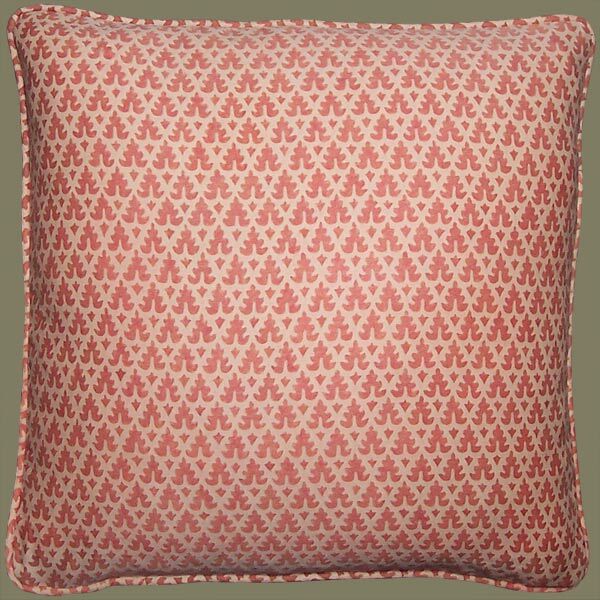 This “Murillo” Pattern is a Print in Burnt Apricot on a Ground of a Light Sherbet Like Cream with a Tinge of Apricot. Three (only) Pillow Covers, all with Self Welt and Zippers. Feather/Down Inserts Available Separately. Please Inquire. Price: $78.00 each $46.80 each 40% Off!